It’s been a snowy two days in New Jersey but fortunately no way near the 2 – 3 feet with blizzard (high winds) conditions predicted. It went slightly east and we were lucky enough to only get about 6 – 8 inches. Yes, my southern friends we consider ourselves lucky. 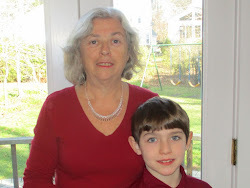 My grandson is home with his parents today and school is closed – as it is in much of the northeast. So what should you – and the kids – do? In our neighborhood it is very, very cold so there is not too much playing in the snow and I haven’t seen a single snowman yet. However, the kids are out there shoveling, snowblowing driveways and adding a few extra dollars to their pockets. Our neighbors’s teenagers were helped by their 4 year old sister who seemed to be making a reasonable contribution with her shovel across the street. If your grandparents don’t live nearby they may be worried about you today. Why not add an extra call to your regular weekly skpe call and chat awhile. Let them know what you are doing with your snow day off from school. 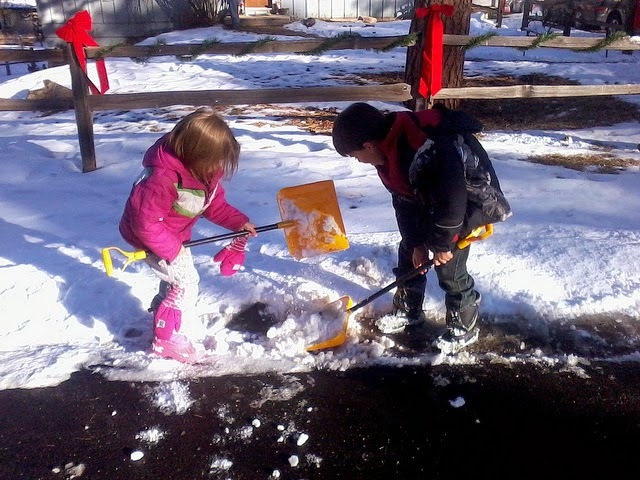 The kids can brag if the helped shovel snow. If they are in a southern climate they are always curious about snow and how we are dealing with it. When you’re done working from home today you don’t have any travel time, so why not play some family games. Meals always seem to take on a different aura on a snow day. If you haven’t made a homemade soup yet this winter, today is a great day for it. Oh, were you too busy shoveling to remember to take meat out of the freezer? Breakfast for dinner is a great topper on a topsy turvy day like today. Cook together – how about bacon and eggs, French toast or pancakes. If you all worked hard shoveling snow how about baking brownies together. That has always been a favorite for snow days for me. Anyway, whatever you do, don’t consider the day wasted. Do something to enjoy it and make it a day appreciated. Advice from Grandma.